Keyshia Cole recently filmed the official visual to her single “I Choose You” from her 2012’s Woman To Woman album. The project debuted at number 10 on the Billboard 200 and number two on the Billboard R&B/Hip-Hop Albums, selling 96,000 copies in its first week. Woman To Woman also became KC’s fifth consecutive top ten album. An image from the shoot went viral and it appears that in one of the scenes, KC is draped in Etro. 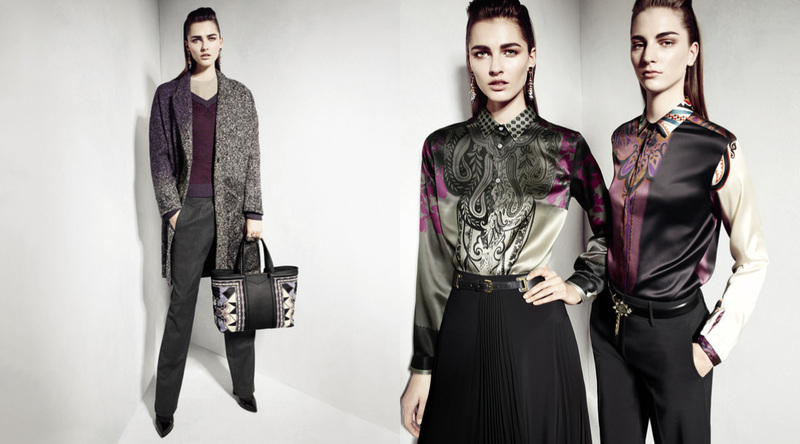 She wore a jacket with the matching trousers from the brand’s Autumn/Winter 2013-14 collection. Celebrity wardrobe stylist @OloriSwank styled KC for the shoot. This Fall 2013, Keyshia Cole is joining K. Michelle for a tour. More details soon! 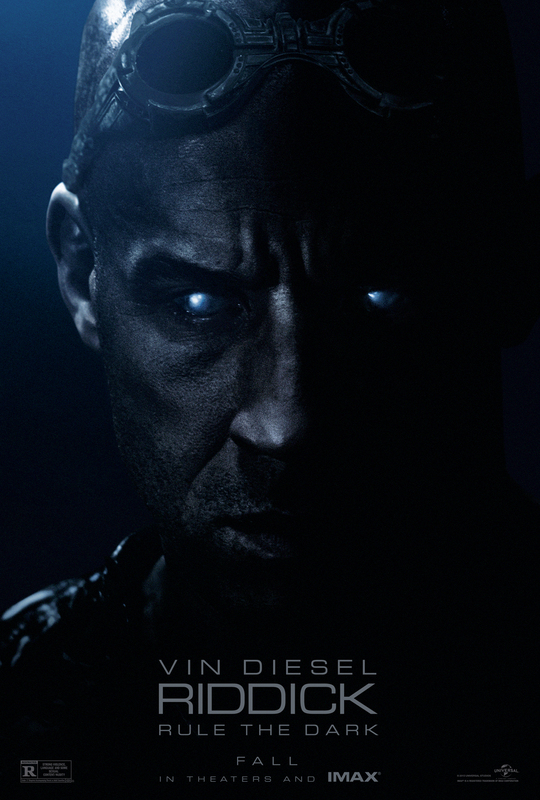 Riddick, a dangerous, escaped convict wanted by every bounty hunter in the known galaxy. rapidly descend to the planet in search of their bounty. horizon that no one could survive, his hunters won’t leave the planet without Riddick’s head as their trophy. NO PHONE CALLS, PLEASE. NO PURCHASE NECESSARY. VOID WHERE PROHIBITED OR RESTRICTED BY LAW. All federal, state and local regulations apply. Entries must be received by Friday, August 30th 2013 via email. Winners will be selected via random drawing and notified by email. One prize per person per household. # prizes available. ARV of prize is $25.00/each. Employees of all promotional partners, their agencies and those who have received a prize within the last 90 days are not eligible. Universal Studios, 43KIX, Allied-THA and their affiliates accept no responsibility or liability in connection with any loss or accident incurred in connection with use of a prize. A recipient of prizes assumes any and all risks related to use of prize and accepts any restrictions required by prize provider. Prizes cannot be exchanged, transferred or redeemed for cash, in whole or in part. 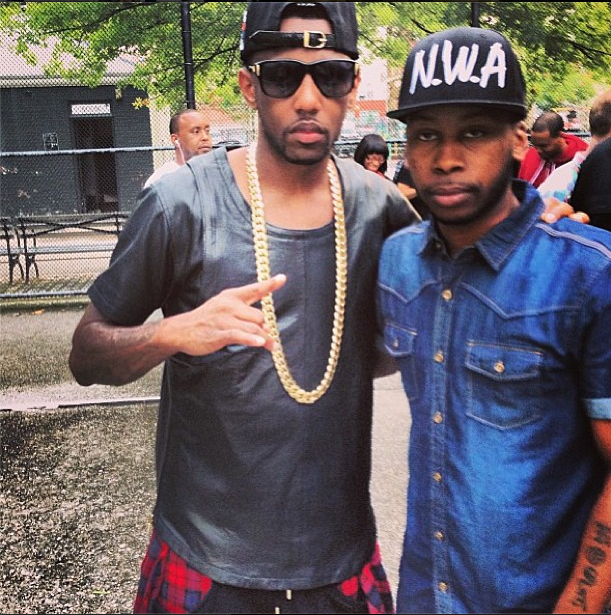 Earlier in the week, Brooklyn’s Don and rap star Fabolous along with super producer Swizz Beatz hosted the EBC 2013 finale basketball tournament at the legendary Rucker Park in Harlem, USA. The finale was sponsored by Reebok. 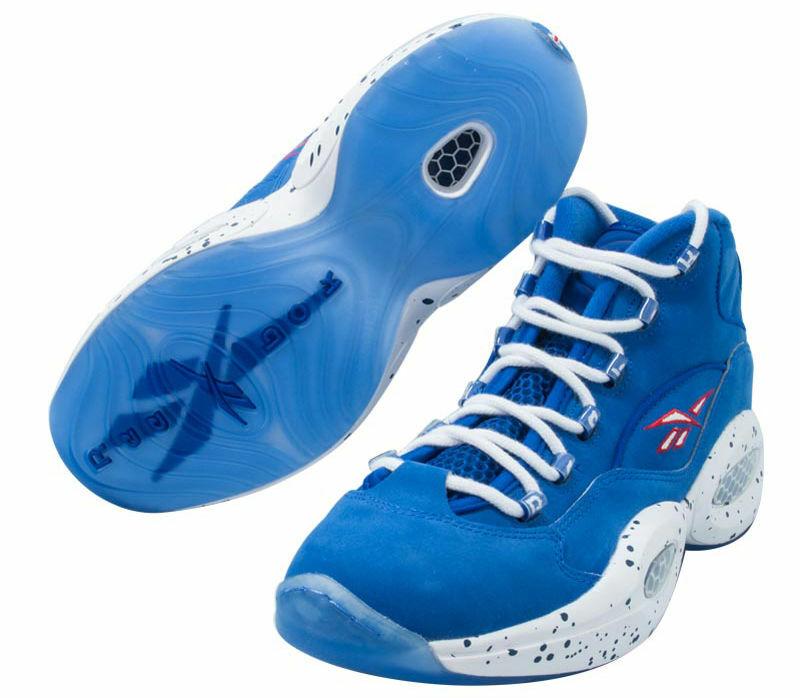 For the outdoor summer sports occasion, the Def Jam multi-platinum rapper styled a $325 PRSVR Black Leather No Limit Tank with black shorts and Reebok Question “#1 Pick”. 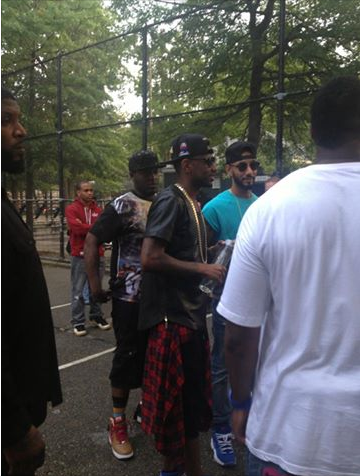 Fab completed his ensemble by tiding a red & blue plaid shirt around his waist, and wearing a black Mitchell & Ness cap and dark sunglasses. 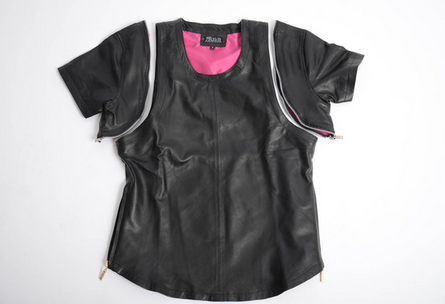 Fab’s PRSVR tank was designed as a leather tee-shirt with sleek lines and cut; the sleeves can be removed from this piece to turn itself into a stylish tank top. 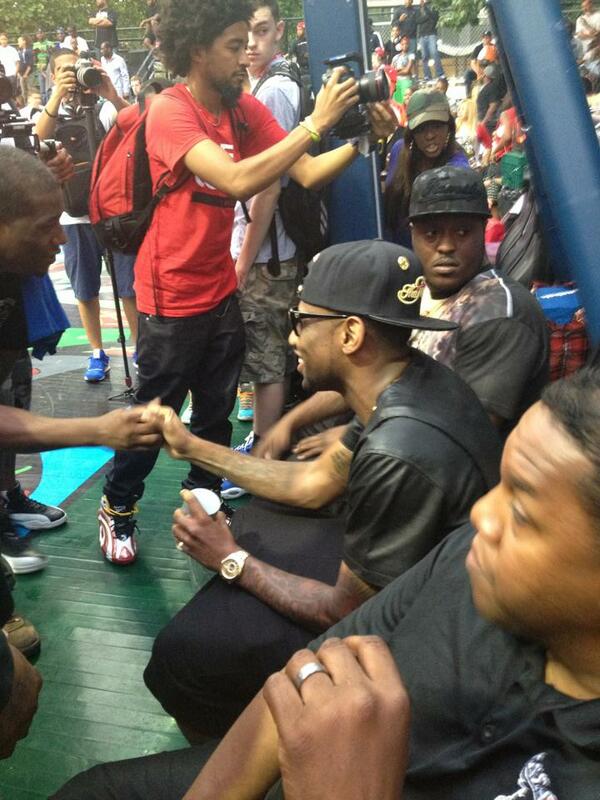 Now you guys see why Fab is one of my fave best dressed rappers! Ciara is in New York doing some press for that award show tomorrow. YDBR is not attending nor doing any coverage. Styled by @marnixmarni, Ciara dressed in a $1,104 Skingraft Phthon-Cut Varsity Jacket, layered over a white crop top, Topshop tuxedo shirt tied around her waist and white leather leggings. 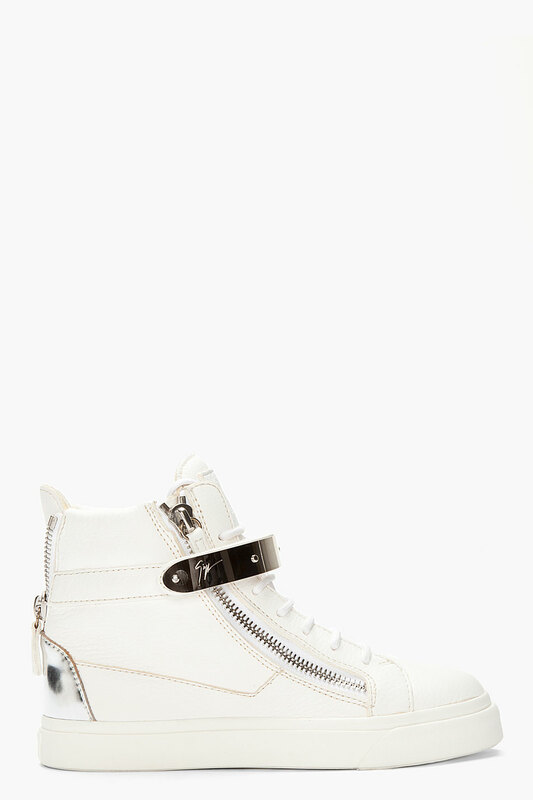 Cici alo rocked $775 Giuseppe Zanotti Off-White Leather London Donna Sneakers. 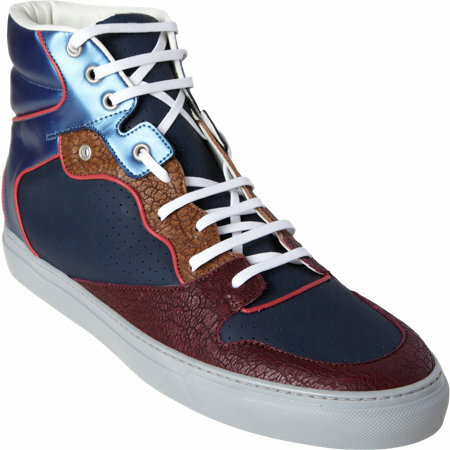 These high top leather sneakers features a silver tone hardware, white lace up closure, zip closure on the eyerow, and white logo patch on the tongue. 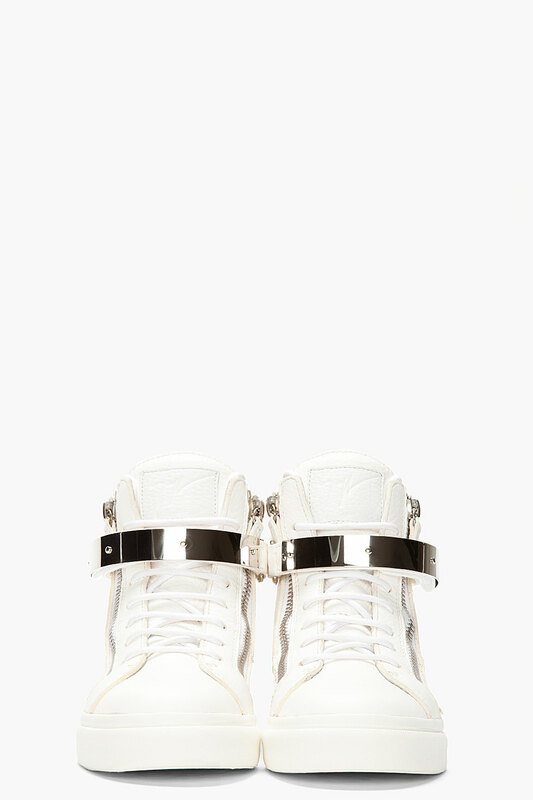 They also features the brand’s signature metal bar detail on the midrow with velcro closure, and a metallic silver patent leather panel on the heel collar. You can buy them at SSENSE. What is your verdict on Cici’s ensemble? As I previous reported here and here, rising East Atlanta rapper RichHomieQuan has been in NYC all week-long doing press and performing. He stopped by Complex’s Manhattan offices for a photo shoot and brief interview. The publication documented the style and personalities of the rapper. 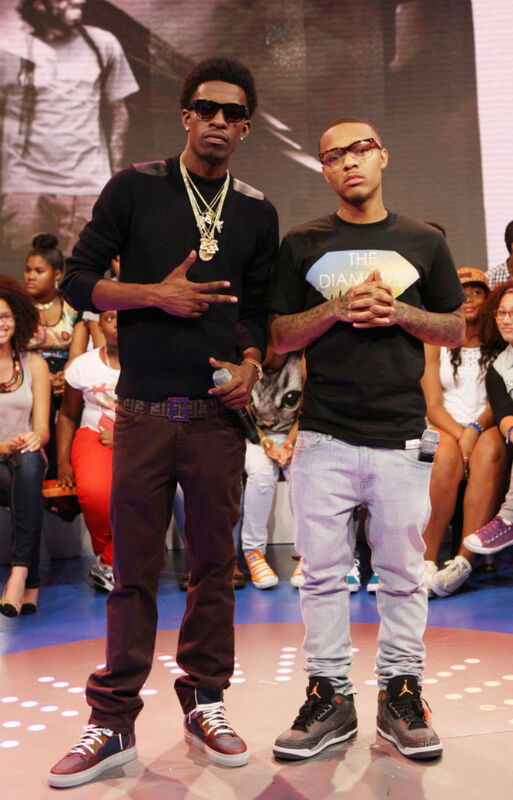 RichHomieQuan also performed his hit single “Type Of Way” on BET’s 106 & Park. Check out the footage over at BET. For the music show, he opted for a black sweater and brown pants which he wore with $555 Balenciaga Perforated Multimatieres High Top Sneakers & a $400 Fendi Reversible Zucca-Print Enamel-Buckle Belt. 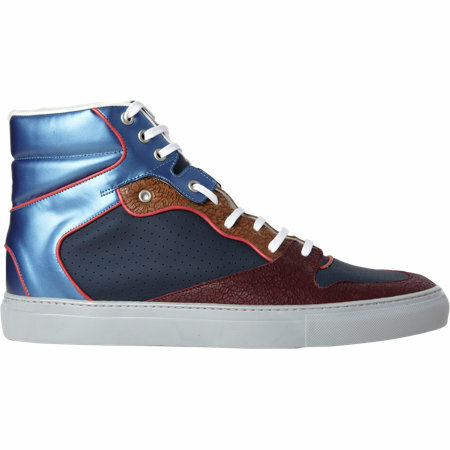 These Balenciaga high top sneakers are designed with metallic, grained leather and perforated panels, contrast smooth leather trim through, a padded collar and leather lining. You can get them at Barneys. 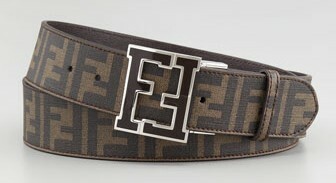 The belt is available at Neiman Marcus. Bow Wow’s Air Jordan 3 Retro “Fear Pack” sneakers are dope! While on 106 & Park, RichHomieQuan talked about being positive, his type of music, and support from a lot of big name artists including Drake and Meek Mill. He also talked about hitting the studio to record with Bow Wow. Jeezy will appear on “Type Of Way (Remix)“. RichHomieQuan’s forthcoming LP arrives soon and he has already worked with Dallas Austin, Monica and Trinidad James for the project.